Many people look at their day to day live and wonder what it would take to organize everything so things, and life in general, would run smoother. What it takes to accomplish this is a solid plan of attack. Sit down with your family ( or you by yourself) and consider the things that are causing stress. 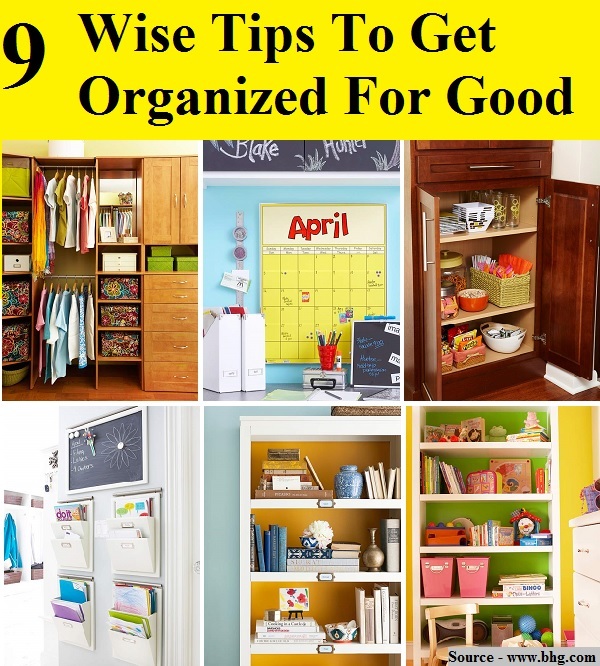 You will be surprised at the way these problems can be solved with a little organizing. Thanks to bhg.com for these wise tips to organize your life for good. Follow the link below to learn more.